WHAT MAKES TOP TIER THE BEST CHOICE FOR MY EVENT? 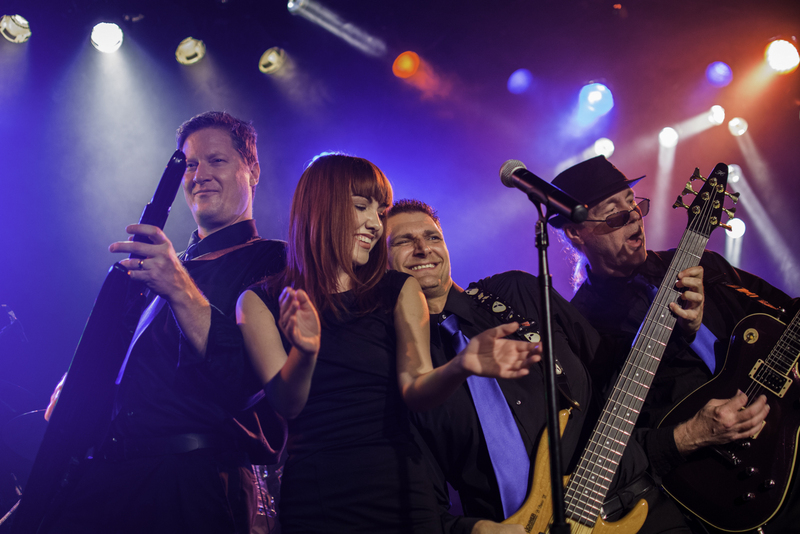 Top Tier is the best of both worlds—a fun, high-energy party band and a smooth, light jazz band all in one! So whether you just want a great dance band, or you also want some relaxing dinner/cocktail music before the party really heats up, look no further. We are consistently annual winners of Wedding Wire’s Couples’ Choice Award and Gigmasters 5 Star Performer Award. The attention to detail that we give each and every event, to make sure it’s the best it can be, is unmatched. Check out our testimonials page for proof of that. Top Tier consists of top notch, experienced musicians with a passion for performing. Our band members have shared the stage with a diverse group of artists, such as Rick Springfield, The Cars, Craig Morgan, Tiffany, Phil Vassar, Ambrosia, and John Ford Coley. Collectively we have performed everywhere from cruise ships and casinos, to arenas and headlining major outdoor concerts. Members of the band have also written music and recorded with members of Sawyer Brown, Winger, Thompson Square, Giant, and Steve Perry’s band. Our music has been used in major motion pictures, TV, advertising, and recorded by several artists. So when you want the highest level of live entertainment, for a very reasonable price, be sure to choose Top Tier! As you will see on our song list page, Top Tier has a repertoire that spans over 7 decades and encompasses many styles of music. Whether it be pop, rock, disco, Motown, country, jazz, or oldies, Top Tier can handle it. Although we are very skilled at reading the crowd and gearing our song selections accordingly, this is your event. So if you prefer the music selections to be heavy on the 70’s, an overdose of 80’s, or a heap of more modern material, just let us know when you book the band and we’ll gladly oblige. Of course we also take requests while performing. WHAT TYPE OF EVENTS DO YOU PLAY FOR? WHAT IS THE INSTRUMENTATION OF THE BAND? We also offer a jazz trio for smaller events. CAN I HIRE ANY OF THE MUSICIANS FOR MY WEDDING CEREMONY? Definitely. Our pianist/keyboardist and female singer do many ceremonies and can be hired individually or as a duo. Our guitarist, bassist, saxophonist, horn players and male vocalists are also available. WHAT ARE YOUR RATES AND WHAT DOES THAT INCLUDE? There are several factors that are considered for booking rates (i.e. the date of the event, the travel distance, 5, 6, or 8-piece band, and the performance hours). Please contact us via phone or email and we’ll promptly give you an accurate quote once we have all the details of your event. It is almost certain that our rates will be lower than other wedding/corporate bands. Our overhead is lower because we have our own PA system and lights. This is a cost savings we pass on to you. When we do give you a quote, it includes providing full sound system, band lighting, learning two songs free of charge (first dance, father/daughter, favorite song, etc. ), serving as Master of Ceremonies, and playing recorded music before we start and on our breaks. If you’re in need of a wedding coordinator or event planner, we do offer discounted package rates that include the band and coordination, courtesy of our amazing sister company, Top Tier Events! Top Tier Events also does custom decor and has a wide variety of items available for rent for weddings or other events. Please contact us or Top Tier Events for additional information about package deals, rentals, or decor. Our standard rates are for up to 4 hours of music. You may use a portion of that time for light jazz dinner music or have us just play great dance music all night, the choice is yours. Typically for a 4 hour event we’ll take three 15 minute breaks. We will play recorded music on our breaks so there is never any down time. We can always be hired to perform for longer than 4 hours. WHAT IF I HAVE A QUESTION THAT’S NOT LISTED HERE? Please contact us with any questions you may have! We’re here to assist you in making your event the best it can possibly be. We will be flexible and accommodating to you, whatever your needs may be.